Reactive and proactive maintenance is a principal area of the Gra-Bern business. Our core customers range from County and District councils, housing associations, Local Education Authorities, local retailers and national maintenance contractors. All Gra-Bern electricians are directly employed by the company, and all are CRB checked (we do not employ subcontract or agency staff). The majority having completed JIB apprenticeships within the company; all are fully conversant with all aspects of retail and facility maintenance. All fleet vehicles are fitted with satellite tracking systems to aid in fast response to breakdowns by the nearest electrician. Gra-Bern offer a complete design and installation service, starting with the customers outline specification and developing this through to the completed installation. Utilising the latest software packages, Gra-Bern can design all necessary cable, power and lighting schemes, tailored to suit the customer's requirements, including the integration of all necessary data systems and security needs (fire, intruder, access control & CCTV). 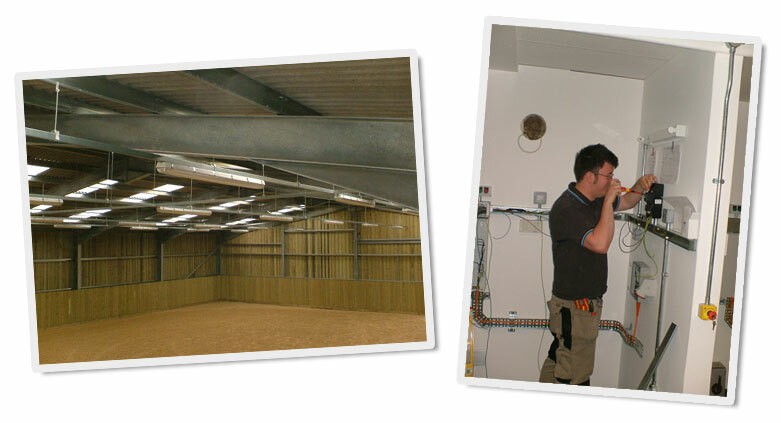 Recent installations include a garage forecourt retail outlet, equestrian centre, commercial office developments, and testing and inspection bays for LEA, as well as lighting and power for local schools and leisure facilities. 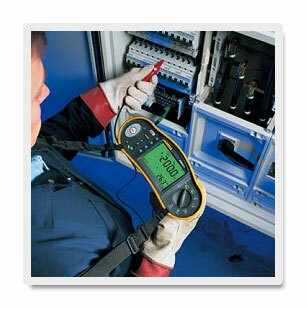 Reliability of your electrical contractor is an essential factor. To this end, Gra-Bern run a fleet of well maintained modern vans all fitted with satellite positioning systems, to enable the office staff to direct engineers to customers sites in the shortest possible time. Businesses are becoming more aware of the 'duty of care' they owe to employees and visitors to their sites. The financial implications of not protecting the Health and Safety of personnel cannot be ignored, neither can the possible delay and cost incurred by preventable breakdowns that could have been identified and rectified at an early stage. Due to the importance of testing Gra-Bern ensure that all electricians are fully qualified and conversant with current BS7671: 2008 wiring regulations. All hold current City & Guilds qualifications, including C&G 2391. All testing is carried out with fully calibrated and serviced test equipment, which undergoes regular in-house inspection to ensure on going accuracy. All testing is reported on computer generated test certificates and reports. 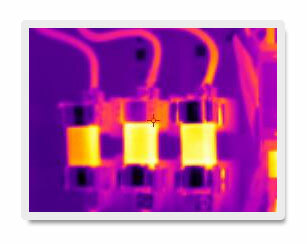 As an additional service we can also carry out Thermal Imaging Inspections of electrical installations and provide a report containing thermal and reference images of switchgear, distribution, equipment etc. Health and safety is an important consideration to Gra-Bern. To this end, we employ the services of Wenlock Health and Safety Ltd to advise on current legislation.